The days are getting mighty chilly in my corner of the world. 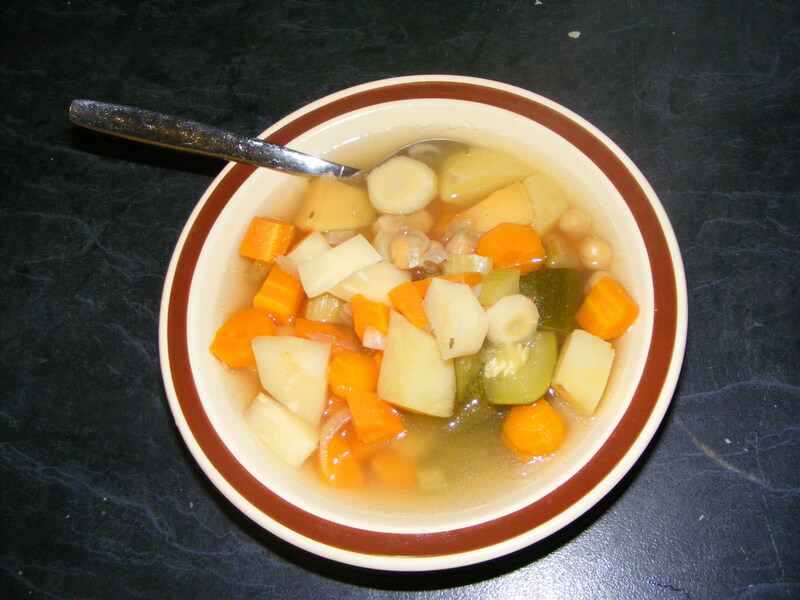 One of my favourite ways to warm up is with a big bowl of hearty soup. This veggie soup is one of my all-time favourites. I love it because it’s simple to make, it’s great for using up leftover vegetables and it freezes well. (You can also add in any other vegetables you like. I’ll throw in anything I’ve got in the fridge that’s on it’s last legs). – Chop and peel all of your vegetables. – Add the vegetables and herbs to the pot. -Turn the temperature down low and simmer on low for at least 30 minutes. – Serve with crusty bread, crackers or a sprinkling of cheddar cheese on top. That’s it! This is also a brilliant recipe for slow-cooking. Just put all of your ingredients into your slow cooker and cook for 6 hours on low or 4 hours on high. This soup will keep in the fridge for 2-3 days after cooking. It’s also suitable to freeze. I usually make a big batch at the start of winter and freeze it in individual portions for lunches. Also, if you prefer a smooth soup, you can always blend this to a puree with a stick blender. Do you have a favourite winter-warmer recipe? Nothing better than soup! I personally love me a good root vege soup….I do love my swedes and parsnips! Yum! I used to hate parsnip when I was a kid, and now I love it. Have you ever tried parsnip fries? They’re amazing! Spicy and sweet (and even better with a sprinkling of chicken salt). Ohh, that does sound good.